This is a small 2.5" square Volupte powder compact. 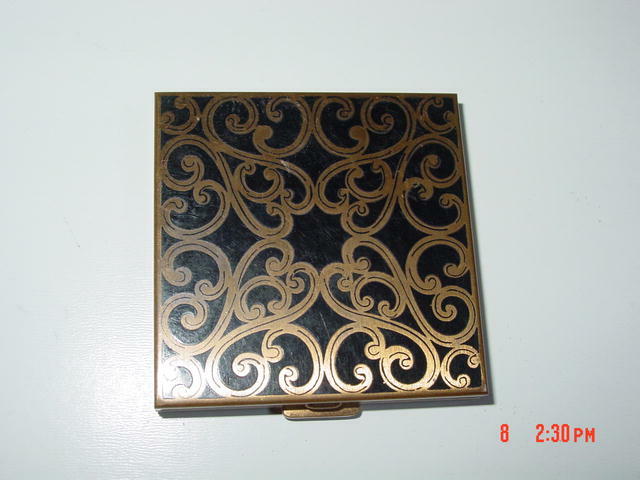 It is brass and has black enamel scrollwork on the front. Inside it is marked LeakProof and includes the original powder puff. This compact has been very gently used. Items Similar To "Volupte Black Enamel Compact"